Check out this adorable video of Kareena Kapoor Khan and Inaaya. 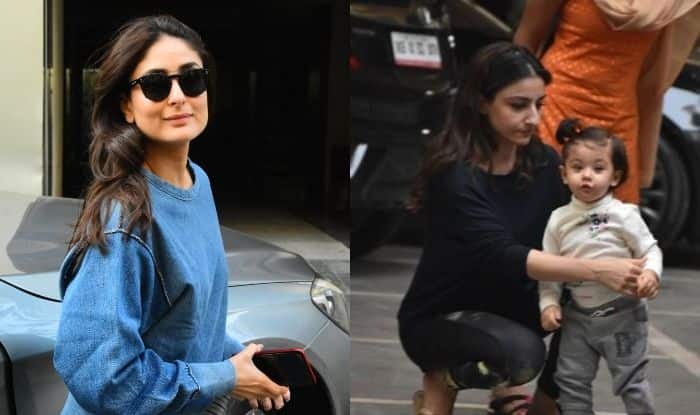 Actress Kareena Kapoor Khan recently visited sister-in-law, Soha Ali Khan’s home and it seems like she had a great time with the latter’s daughter Inaaya. An adorable video surfaced on the internet in which Bebo can be seen showering love and kisses on the kid. Well, we miss Taimur Ali Khan with them. Kareena looked beautiful and once and rocked the denim on denim look. She wore a dark blue denim sweatshirt and teamed it up with blue faded ripped jeans. She completed her look with sliders and black sunglasses. It seems like she wants to do the same with Inaaya. On the professional front, Kareena has started shooting for Good News with Akshay Kumar. The movie also features Diljit Dosanjh and Kiara Advani. She will also be seen in Karan Johar’s Takht.